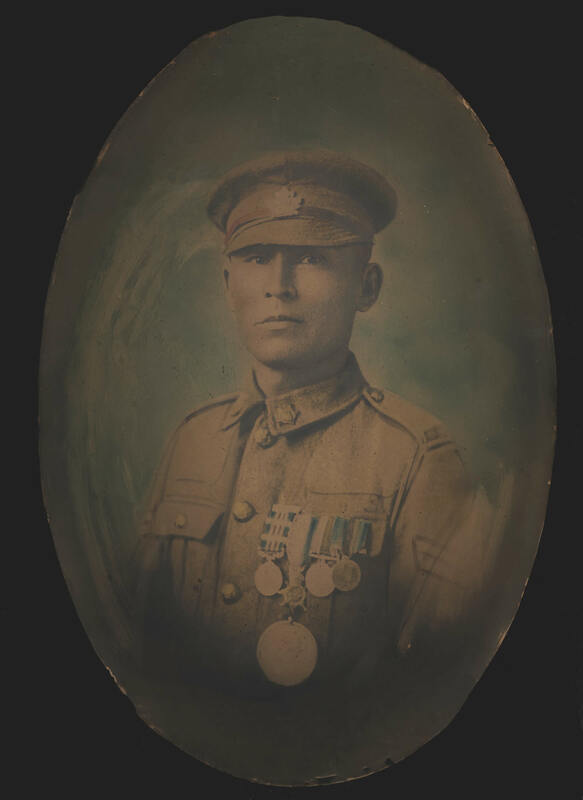 A painted photograph of Corporal Francis Pegahmagabow dressed in his military uniform and wearing his medals. Originally a black and white photo, the portrait has been coloured with oil paints. Pegahmagabow, a sniper and scout, was awarded three Military Medals.